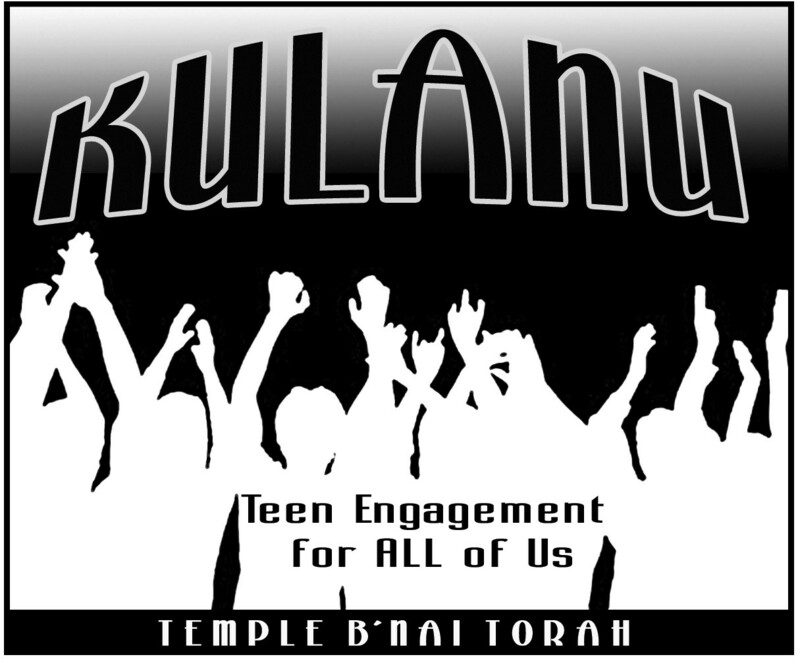 Our post B’nai Mitzvah high school program is called Kulanu, which is a Hebrew word meaning All of Us. At Temple B’nai Torah, our teens participate in both Confirmation AND Graduation, with some amazing programming unlike anything they experienced before B’nai Mitzvah in between. To learn more about any and all of these things, read below! combination of student interest and the talents of our Kulanu staff. During this time, all grades learn together. In their first year in Kulanu, 8th Grade students will learn about the experience of the Jewish people (including the founding of Israel) ultimately through an exploration of their own family histories. This will help students to begin to form their personal Jewish identities, as well as teach them a basic history of the Jews and Israel. They will also learn how to be leaders in the Jewish community through a series of experiential lessons that they will design and teach. 9th Grade students will learn about Judaism as compared to other major world religions. They will learn what makes Jews Jews and why we do the things we do. They will also study Jewish ethics, learning the biblical and Talmudic responses to everyday and modern issues. This will help to give them a better understanding of what it means to be a Jew as they prepare for their confirmation year. trip, they are given the opportunity to lobby their local congressmen and state senators on Capitol Hill. Finally, confirmation students help lead a beautiful Shavuot service and receive a blessig from the clergy as they affirm their faith in Judaism. In this post-confirmation year, students learn about the different branches of Judaism to better understand what makes us Reform Jews. In conjunction with this subject, students will explore different types of Jewish media – including literature, movies, and television – to see how each sect is represented in popular culture. Each week, the senior class will meet with the Religious School Director and a co-teacher as they explore what it means to be a Jew outside of our community at TBT and on Long Island. As our oldest students get ready to head out to college, many leaving home for the first time, we discuss a variety of topics which include everything from how to make responsible choices to how to live with a roommate, all through a Jewish lens.